My Body Contour’s New Location! We are now offering stretch mark removal, cellulite treatment and the most advanced form of weight loss on the market today. With My Body Contour’s proven Fat and cellulite reduction treatment methods, you will look better and feel better about yourself. Our clients see results after just one treatment! Fill out the form below for your FREE consultation! Summer is over and you’re needing to get back in shape. 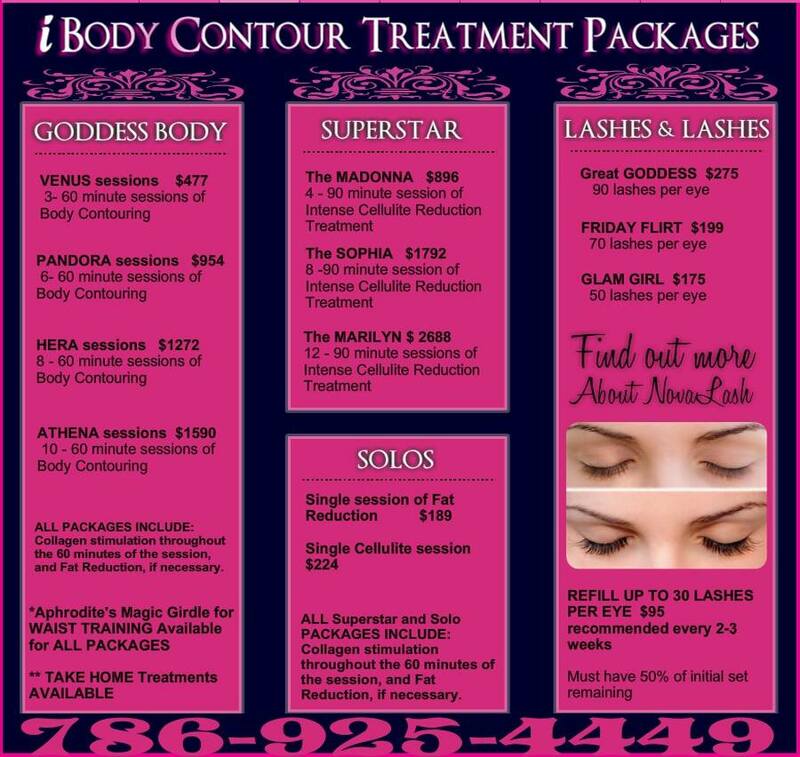 CALL US to book your session of Body Contouring Specials EVERYDAY! How it works? RF energy is transmitted to the fat cells to dehydrate and eliminate them from your body. This program works as a detoxifying treatment for your body. My Body Contour’s official blogging site! My Body Contour of Miami is expanding to Ft Lauderdale soon! Be on the look out for the greatest Liposuction alternative ever created! No drugs, no surgery, no downtime just results! Our Lipo-Ex 50% off specials at My Body Contour are getting ready to end and this is your chance to get onto the schedule and start looking and feeling better again. For the few people who do not know about Lipo-Ex, we have been approved by the FDA as a class I medical device, following over 5 years of research studies through the University of Texas. Not only has our treatment been featured on Channel 7 news, CBS 19 news, Great Day In Houston and many other news agencies throughout the world, our system has been proven to work effectively work for fat reduction, facelifts, cellulite reduction, skin tightening, pre and post-liposuction benefits and blood circulation. We offer FREE consultations! As our Liposuction alternative treatments of 8 start showing significant signs on patients, their family and friends take notice! This non invasive, non-surgical alternative to lipo, Lipo-ex is the number one recommended treatment by plastic surgeons accross America! Fat loss, weight reduction, skin tightening, Face Lifts, blood circulation and sports muscle therapy treatments are available 6 days a week! Located in Miami in the city of Miami-Dade, we will be expanding to Broward county soon into the Ft Lauderdale area! Be on the look out for the grand opening of our new office coming soon!